Jason Clemmons has lived in the southern Appalachian Mountains since 1983. He resides in the small, picturesque town of Blairsville in North Georgia. This idyllic, rural setting is a photographer’s dream, and Jason has made capturing the beautiful landscape his passion. The talented, young artist’s photography career started with a honeymoon trip that he and his new bride, Jesica, took to Glacier National Park. At the time, Jason did not own a camera, but knew he had to have one for their trip. With an avid interest in photographing the bounty of nature at the Park and a natural eye for capturing the awe-inspiring landscape, Jason knew he had found his life’s work. Jason and Jesica, who is his biggest fan and supporter along with their 3 beautiful children Meredith, Nick and Ian have continued on their journey as they travel throughout the enchanting Appalachian mountains as often as possible to locate amazing scenes that beckon Jason and his camera. A self-taught photographer, Jason possesses a natural talent in using light and shadows, with a perspective that, as the artist says, “I feel my camera is a microphone and I record the wisdom and stories these mountains tell.” He knows there are endless stories in the ancient landscape, and he always has his camera at hand to record them. In addition to his photography career, Jason and his wife own and operate one of the oldest businesses in the area, the Sunrise Grocery Store in Blairsville. This business brought Jason and his family to the area in 1983. The quaint, well-known store is a landmark in the area. 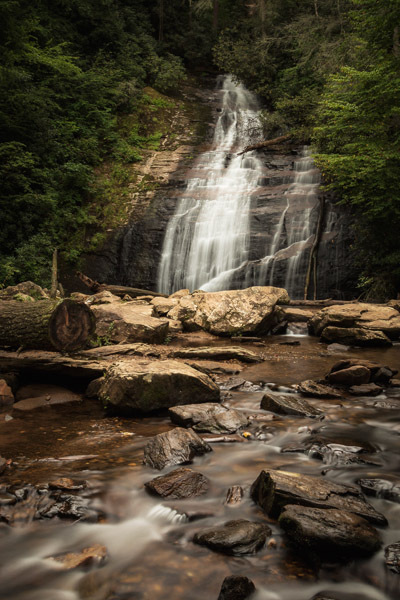 The good life is often found in rural America…..Jason Clemmons not only lives in and enjoys this wonderful part of our country, but has found through his photography an ability to record all the scenic pleasures that the southern Appalachia region offers. This talented artist’s images will allow everyone who views them to glimpse into the beautiful and magical landscape recorded through Jason’s camera.